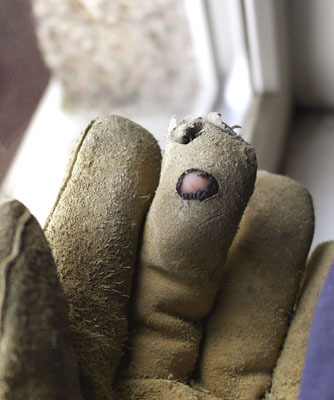 Well they lasted a few months, my Kevlar lined, super thick welding gloves. Perhaps flint bullets are a direction the military should go. chainmail is the way to go - good job you spotted the hole.